September 8th: Italian Basil Chicken Wrap (grilled) from Burger King and Onion Rings. I normally do not eat from Burger King. Unfortunately, at the 2nd gig, there’s not much to choose from in terms of where to eat. The Italian Basil Chicken Wrap looked intriguing, a lot more so than the other wraps they had. Plus, I’ve never had their onion rings and wanted to have something different than French fries. Also, they had run out of the apple fries. It was very good; I am a fan of the seasoning. 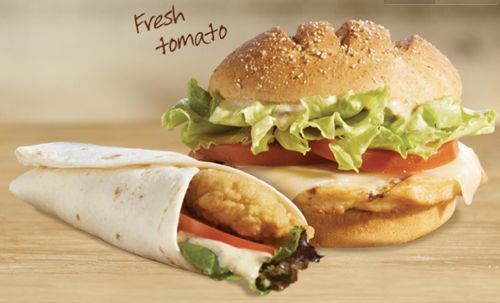 Perhaps next time I will try the wrap in grilled or the new sandwich, which is pictured next to the wrap. The onion rings weren’t bad, either.